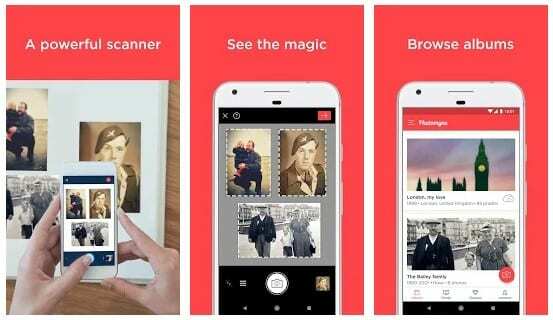 Now you can Digitize Old Photos with Your Smartphone with the help of an android app that will allow you to convert your old photos into digital mode easily. Here in this article, we have written about the method through which you could be able to easily digitize your old photos with your smartphone only. So follow the below guide to proceed. There might be numerous old photos in your home which you know have got somewhat faded by that long time. All the precious photos that you have clicked in any of your functions parties or marriages would be a real gem for your life if these would remain safer all the time. But as by the time the photos get their colors eroded slight way so you need to pay some attention to prevent your quality of those precious moment photos. The best way to safeguard those photos is to digitize them, and this pretty lengthy process could be done right on your smartphone device only. Here in this article, we have written about the method through which you could be able to easily digitize your old photos with your smartphone only. If you were also seeking for this method then you are exactly at the right place because we have written about the method in a really easy way such that you might also not get any issues while implementing it by your own. Now it’s your time to just follow up reading this article and hence get to know about this method! Step 1. First of all download and install the PhotoScan app on your Android or iOS device. This app by the Google is available for being download on both of the iOS and Android devices only so you could get it for these devices through the internet. Step 2. After you have installed the app correctly on your device you just have to go through the quick overview of how the app actually works up or you could just skip it up. Once the app start up fully press the Start Scanning button to get it up running. Step 3. The app would again ask for the camera access permission on your device, just grant that up and then you would see that the app jumps right onto the camera interface. The camera on your device would be used to scan up those precious photos that are getting old and faded and which all you wish to digitize. Step 4. Line up the particular photo in the camera interface on your device and then grab that picture for the photo by tapping on the shutter button. There would be four dots that would appear on the four corners of your screen or the picture that is clicked, just move the center circle to one of those dots and wait for the app to start up the scanning process. Do this for all the four dots on the picture and remember to do that in some order. Step 5. Now the app would take out the clean and superb looking picture of your photo without any garbage edges or any flash glare on your photo. The process if really excellent to remove the picture distortions and errors in colors ad hence provide up with the resulting image of great quality which would be saved to the app’s gallery. The saved picture although could be edited further for your instance. Just like Google’s Photoscan, there are plenty of other apps available on the Google Play Store. 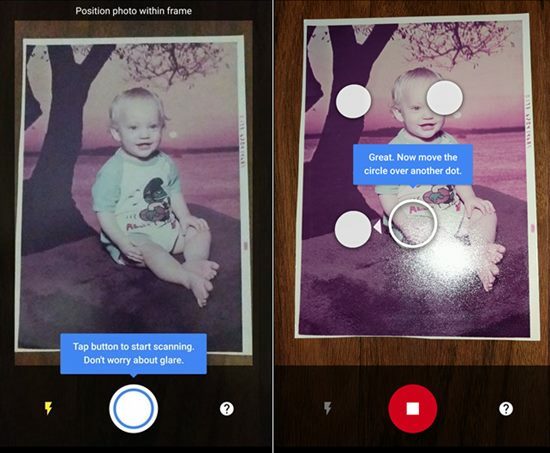 These apps can create digital copies of printed photos. 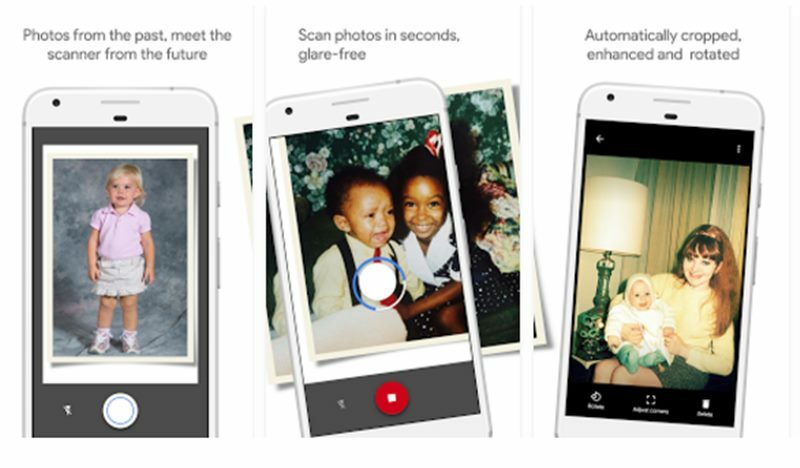 So, check out some of the best apps to digitize old photos on Android 2019. Helmut Film Scanner is one of the best apps in the segment of photo editing. The best thing about Helmut Film Scanner is that it converts physical rolls/slides into digitized photos. The app doesn’t demand appropriate hardware and it can run on almost every Android version. So, Helmut Film Scanner is one of the best Android apps which you can use to digitize old photos. 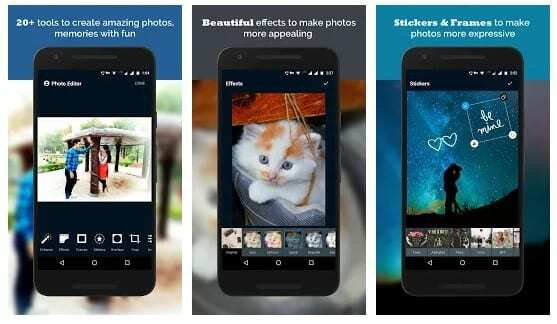 PhotoMyne is another great Android app on the list which can digitize old photos and can give it a new touch. The great thing about PhotoMyne is its ability to scan multiple photos at once. Apart from that, it also allows users to pick up particular objects in the images for quick editing. 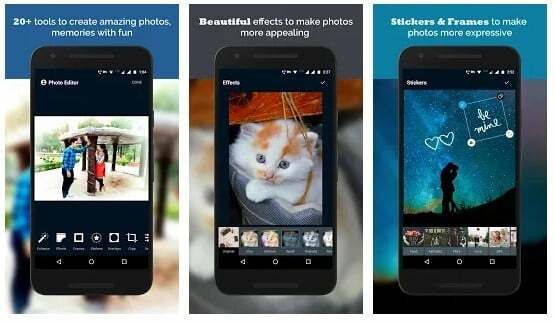 So, its one of the best app which you can use to digitize multiple photos at once. Quisquee is another best Android app which you can use to digitize your old photos. The most powerful feature of Quisquee is its powerful editor which provides users with different unique features. 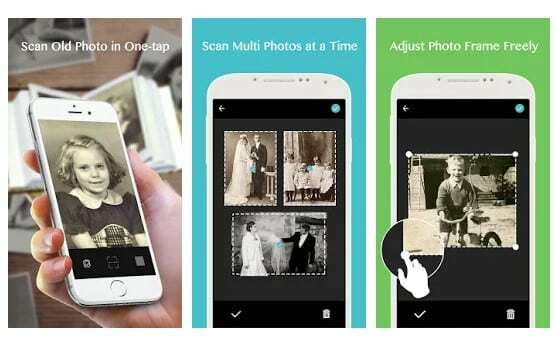 It’s not exactly an app dedicated to digitizing old photos, but if you choose to explore the app, then you can find some features to be really useful. The app can surely transform your old images into a new one. As the name of the app says, Old Photo Scanner can help you to re-discover your precious moments by digitalizing your old printed photos. The app is much similar to the Photoscan from Google, but it packs far fewer features compared to Photoscan. 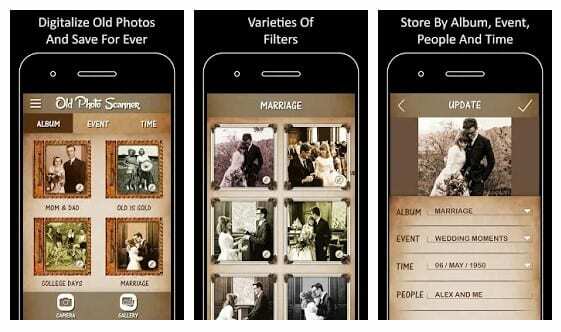 However, the app packs almost every feature that you need to digitize your old photos. So, Old Photo Scanner is definitely one of the best Android apps that you can try to digitize your old photos. 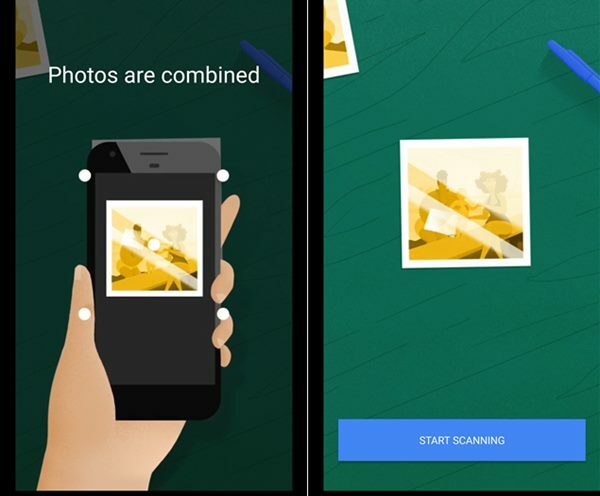 Photo Scanner is a multi-purpose photo editing app available on the Google Play Store which can be used to digitize old photos. The great thing about Photo Scanner is that it allows users to scan, view and manage various old photos across smartphones. Not just that, but the app is also capable of scanning old paper photos and turns them to the digital records. So, Photo Scanner is another best Android app which you can use to digitize old photos. Quisquee is one of the popular and most useful Android photo scanner and editor which you can use right now. With its advanced photo scanner, Quisquee can scan photos with its 8 points multi-selection tool. Not just that, but Quisquee also offers a powerful photo editor that’s powered by Aviary. Through the photo editor, you can further modify the photos as per your wish. 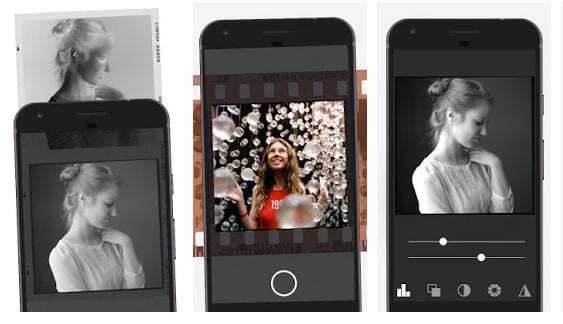 After reading up the above article you have now got about the method by which you would be able to digitize your old photos with your smartphone only. The method as you have read the above article is really simple to be applied and there might be no issues to get onto it. Hope that you might have liked up the method, in case you get into any trouble while trying to apply the method then worry not but just tap your appearance below in the comments and we shall be there to help you out.